BIG NEWS! I got a new job! Last week I came home from a two week road trip in Europe. My boyfriend and I visited Denmark, Germany, Switzerland, Italy and even Lichtenstein (1 minute visit). At the moment I am going through the images I shot. It is really fun to look back at what we have experienced, and I will share some of the photos with you soon. Anyway, today I write because I have some news to tell you. I told you earlier this summer that I had something to share with you. And this is the reason why I have been so busy. The last couple of months before July I was super busy applying for jobs, and now.. I finally got one just before the summer vacation! YAY! BI’s Logo from their webpage. It is the DREAM JOB! 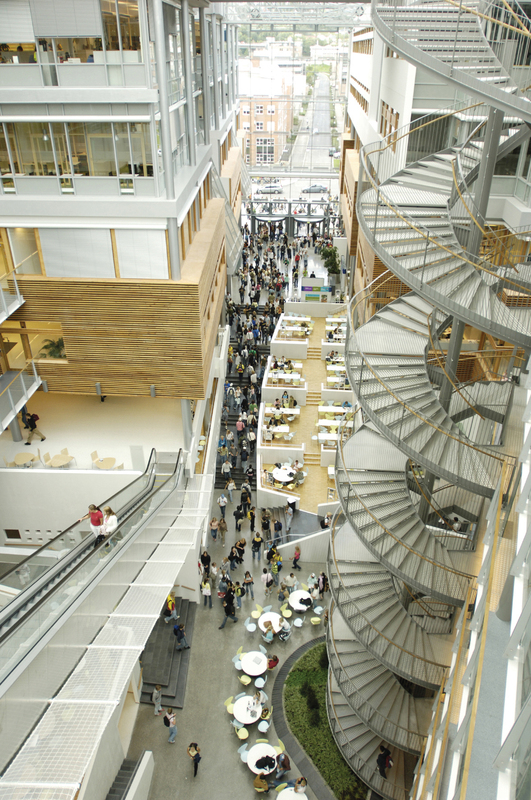 I am starting to work at BI Norwegian Business School in Oslo. I will be working in the marketing department as a digital graphic designer with team responsibility for three other designers. I am sooo happy, and I can not wait to start working. First day is next week! I’ll be working with some talented people and in a fancy building. Look! You can read more about the school here. Gosh! I’ve been very busy lately. I’ll tell you why on my blog soon. Here are some photos I took some few weeks ago. :) These are taken not so far a place called Domkirkeodden in Hamar. In Background you can see the biggest lake in Norway, Mjøsa, and I think it might be Helgeøya, an island. This weekend some friends and I was in Sandefjord. We were out in the boat when we met some sailboats. I think it was a regatta. I shoot some photos from the boat. Because of the high speed and bumby waves, it was sooo hard shooting good pictures, but I managed to shoot some OK photos. Take a look! A week ago I took some photos of the flowers on my terrace. Take a look! I have planted some strawberries in a flower box. We have so many flowers and I am really looking forward to when it is ready to harvest! I love strawberries! Next to our terrace there is a lilac tree. The branches are reaching up to our terrace, making it look like it is a port of our terrace. It really makes our terrace very pretty and cozy when the flowers are blooming. Here is another photo of some flowers I have on my terrace. I also have some other flowers and some herbs, but I did not photograph all of them. Cherry blossoms and my logo! It was really fun working with my cherry blossoms photos, so I decided to play around with my the cherry blossoms photos and my logo. I really had fun playing with this, and maybe I will do it some more? Cherry blossoms – decorating Hamar in the spring. Hamar has really flourished with all its cherry blossoms everywhere. They are so pretty! The first time I ever discovered these flowers was when I lived in London. I really loved the spring in London when all the pink flowers coloured every single park in London! Now I have a really good reason to love the spring here in Hamar aswell since they have planted so many of them here. Here are some photos I have taken of the cherry blossoms here in Hamar. Finally I’ve got some time to design my own logo! Here it is! It was pretty easy to make it in Adobe Illustrator. When you make it in this program you will get your logo in vector, which is quite nice, because it will not loose it’s quality when you change its size. You probably remember my sketches of it. Here is another image with my logo on a notebook. I think it looks nice, and soon you might see it on my portfolio site etc..
I’ve planted some seed some few weeks ago. Here is a photo of one of my sunflowers. I can not wait till it is fully grown. I planted one sunflower last year as well and it got huge! I’ve been in the cabin in the mountain this Easter. My uncles cabin does not have any electricity or water. There was also no phone reception in the area. I switched off my phone and using any other electrical devices over time was impossible. It is nice to just switch off everything once in a while. I called it a technological detox, and it is really relaxing. This is the view from where we decided to turn and ski down. This photo is taken with a GoPro. And here is a selfie of us while climbing up. avalanche transceiver. You kind of feel a bit lonely out there when you are only two in the big wilderness. It is positive to have more knowledge and good equipment when you explore the wild nature alone. Here are some more photos from our vacation. Here is a drawing I made of my uncles dog. He is a Gordon Setter, and he used to come with us to the cabin. I made this drawing some years ago and gave it to my uncle as a gift this Easter. And here is a photo shoot by my boyfriend. Finally I made a new owl in my art journal. Look how cute he is! Here is another photo of the drawing.